Introduction by Ellen Witt Monen; Article by Hannah Boresow, Ellen Witt Monen, W.L. Bishop and Greeley Dawson. Special thanks to Leatrice Eiseman and Pantone Color Institute. It’s a fact that color affects our moods. Could it also affect the mood of an entire population and in turn, the economy? Would the happiness color brings to the lives of a collective group inspire them to do better, work harder or even produce and consume more? Could color trends directly correlate with the economy, and if so, which comes first – color or the economy? I wanted to know. To answer my questions, I put SeeMeDesign to work. We started researching and hired a Georgia Tech Senior Industrial Design student to get the ball rolling a little faster. At this point, we have spent the past five years on this project (in our downtime, which I must admit is few and far between). We have read countless articles, excerpts from books and made our own general observations along personal travels. We have talked to the experts and most importantly, held a phone interview with one of the best — Leatrice Eiseman. Eiseman is the Executive Director of Pantone® Color Institute and head of Eiseman Center for Color Information and Training. She is actively engaged in color forecasting, training programs and trend seminars, and she has written a series of books on color. She has been an incredible resource for us, and we owe her a very special thanks. We reached several conclusions through this process — first and foremost that this simple idea presents quite the conundrum. There is a consensus from the many color-powers-who-be that optimism and hope are primary determining factors on color trends. Troubling times inspire bright color choices and unique patterns, which serve as an antidote to consumer hardship, like recessions and depressions. “Often when people choose color, it’s aspirational,” according to Leatrice Eiseman. Kit Yarrow, a consumer psychologist at Golden Gate University in San Francisco, states, “[colors] represent the mindset of the consumer . . . they express a budding feeling that’s more optimistic and refreshed.” We’ve seen this in the past, and it is especially true now. The soft, complimentary shades selected for Pantone’s 2016 Color of the Year, Pantone 13-1520 Rose Quartz and 15-3919 Serenity, were chosen by color forecasters as a direct expression of the need for tranquility and security among modern day events. Rose Quartz’s pink tone paired with Serenity’s cool blue tone expresses reassurance and a zen-like serene state of being. The color combo also voices support for the movements of gender equality and the freedom to break away from gender color norms. Eiseman explained in our interview, “In times of stress, we need something to lift our spirits.” A desire for a “sense of order and peace” amidst the far too common acts of worldwide terrorism is clear in this year’s selection. In 2015, the hustle and bustle of our lives was more prevalent than ever. Pantone’s Color of the Year was the rich and natural hue of Marsala, which served as a sophisticated and fulfilling tone. Eiseman notes the earthy color was in part inspired by the widespread mentality and urge to “get back down to Earth.” This color, once again, served as an antidote to what is actually happening in the world around us and a desire for change. If it were as simple as this, we might be able to create a correlation between color and the economy. But as Eiseman pointed out, there are so many other variables, not to forget that “a neutral from ten years ago isn’t what a neutral is today,” as Jordan explains. Neutrals are not the only things that have changed in recent past. With new technologies and the Internet, communication is fast, easy and global. Movies, television, design and art now cross cultures. World influences circulate faster and farther than ever before through social media. Peer influence and personal choice have suddenly taken on their own persona. As consumers, we like to think we aren’t susceptible to outside influences in our decision-making processes, but those influences are nearly impossible to escape these days. According to a recent McKinsey Report, peer influence and recommendations are the primary purchasing factors in 20-50% of buying decisions. Targeted email ads, social media and even “junk mail” influence our purchasing behavior. Our personal “choice” is often swayed by marketing strategy, brand names and cultural trends. Loyal consumers influence our buying decisions even further, whether those consumers are your friends, neighbors or random online product reviewer from Arkansas. While most of us think we are in charge of the way our thoughts develop, there’s a lot more to that story. The release of the 2015 movie, Minions, is responsible for the birth of a new Pantone color of its own. According to Eiseman,” Pantone Minion Yellow heightens awareness and creates clarity, lighting the way to the intelligence, originality and resourcefulness of an open mind.” The color was immediately adopted by the children’s fashion industry, which in turn, influenced adult buying habits in fashion and home goods. The Minions‘ licensing and production companies joined forces with well-known London designers to create “a collection of fashion-forward pieces that . . . appeal to the brand’s young adult and adult fans,” according to Jamie Stevens, Universal Partnerships & Licensing’s EVP of Global Retail Marketing and Development. As part of the already-established Despicable Me franchise, the Minions team had proven records of success. Its pairing with exclusive London designers seemed only fitting — the peer influence from both parties’ loyal consumer bases propelled the fashion collection’s popularity far and wide. Color variety and options are growing each year within consumer retail industries offering new and interesting choices on anything and everything from cars and smartphones to t-shirts and toothbrushes. Personal color choice encourages consumers to self-identify with products that help define their own style. Color forecasters translate media and peer influences into the current color trends, but a sense of individuality remains as consumers are able to search for products that relateto them on a personal level. Trends like this defy any kind of correlation with color and economic performance, according to Eiseman. Individual choice and social influences are more prevalent than ever before but aren’t the only power on consumer behavior. The U.S. Bureau of Labor Statistics reports that technological advancements in materials and consumer items “are tangible proof that U.S. households today enjoy a higher standard of living.” Interestingly enough, this appears to be true even during a recession. The correlation of technology to consumer expenditure and the economy is well-understood. Eiseman makes the point that the evolution of technology creates an ongoing ability to provide a larger range of color options in consumer products. In the 80s when kids roamed more freely, neon clothing emerged from the need to make children more visible while biking and running around. These items grew to “not only [be] functional, [but they] became a dominant trend,” according to DeLong and Martison. Neons, metallics and even hyper-color technology were not even fathomable fifty years ago. Technologies like this have also made color variety more accessible with global availability of almost any consumer product. Consumer spending has increased as color choice grows, while the playing field for sales has shifted from local to global. Worldwide “window-shopping” is available on any one of our many tech devices. Tina Sutton, author of The Complete Color Harmony states, “We live in an instantaneous-results culture. The Internet and technological advances in the transmission of information provide immediate access to news of world events.” Email and smartphones keep us constantly connected, and consumers have come to expect the ability to buy exactly what they want when they want. With each new tech product, we are often presented customization options such as our favorite color, pattern or photo. As economic and technological growth continue over the years, these options can only be expected to grow. In short, although color and the economy work hand in hand, they have a very complex relationship. There are far too many outside factors to create a legitimate correlation between the two. If we had to choose a top color influencer for the future, it would be technology. That said, the other factors cannot be discounted. Color trends evolve alongside constant technological advancements and breakthroughs, all of which stimulate shifts in the economy through consumer spending. According to Eiseman, “color forecasters are constantly looking for the clues as to what consumers are being attracted to and can reflect the ‘zeitgeist’ of the general public.” Forecasting colors can help predict future consumer disposition. Trends cannot always be explained, but we do know that color does directly influence behavior. So, it never hurts to wear a color that inspires you to grow in an area where you’re feeling a little deficient. If you have stress in your life, surround yourself with zen colors. If you’re feeling tired and unmotivated, go with something bright. Use color as your subconscious vehicle for change, and see how it inspires you. For more information about color trends and their shifts alongside economic growth and decline in the U.S., enjoy our data visualization graphic below. Or, Download a PDF verion of this article in full so that you can keep it around for a while. Thank you for reading! 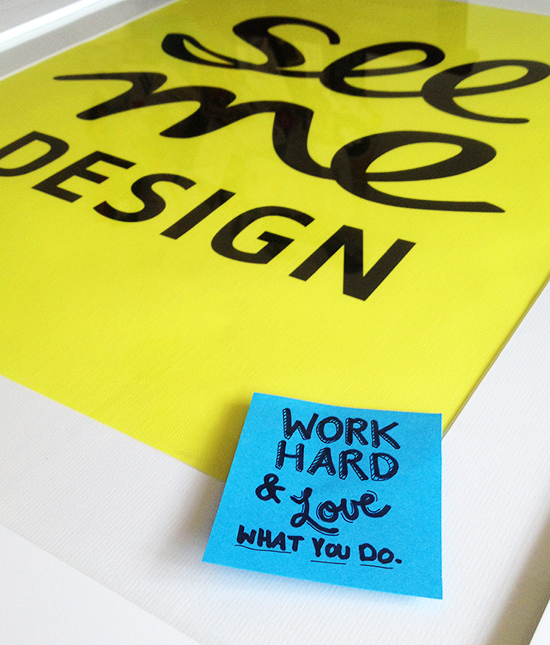 At SeeMeDesign, we feel pretty lucky to have such great clients and so many great projects to work on. A little reminder to keep up the hard work and stay inspired can go a long way. What can we say? – We love what we do. 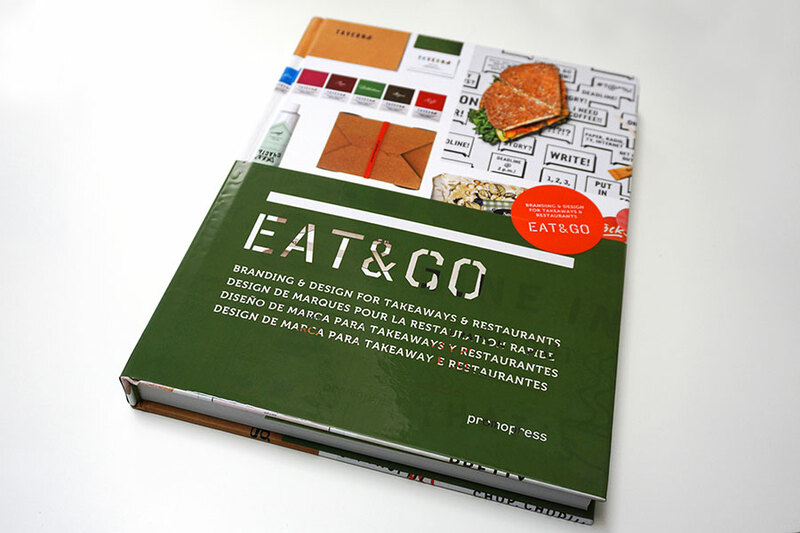 We are so honored to announce that our brand identity and design work for Milk and Honey has been one of a select group of projects featured in the amazing design book, Eat & Go: Branding & Design Identity for Takeaways & Restaurants. 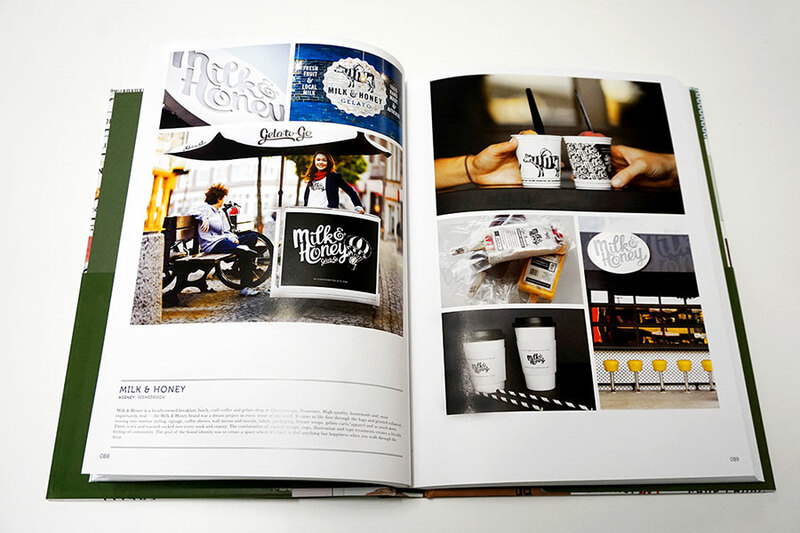 With all the time, energy and love we put into creating the perfect brand for Milk and Honey, this sort of recognition is sincerely the icing on the cake. Thank you Sandu Publishing for reaching out to us to be a part of this book of amazing design.